I'm wearing the costume from the Disney movie UP character Carl Fredricksen. The mask was made out of a cardboard box, foam , paper mache and acrylic paint. The house was made out of wood which was tied to a bunch of balloons with helium. 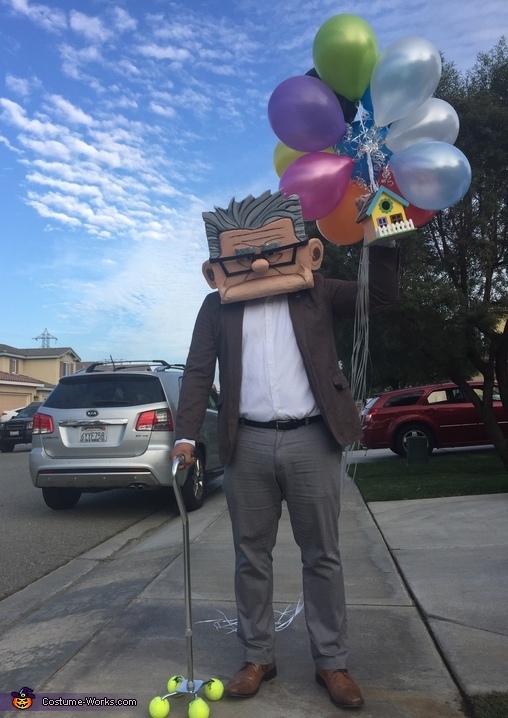 I was inspired to make this costume because I really love the movie and I believe there is a little bit of Carl Fredricksen in all of us.